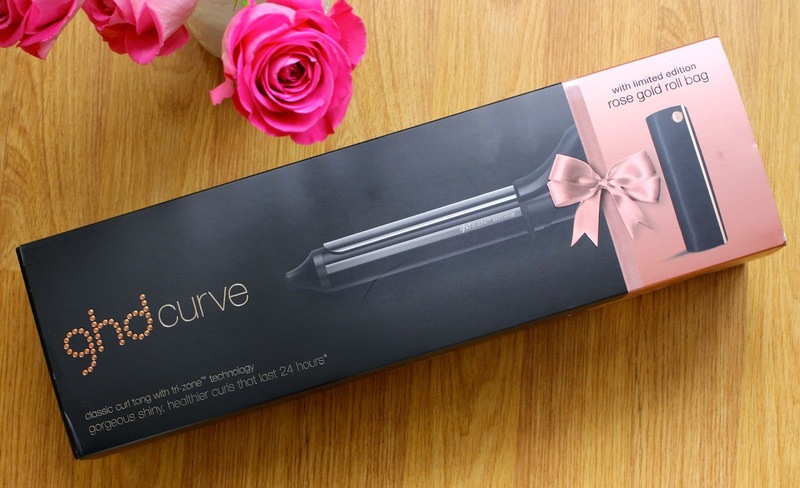 As some of you may have seen on my Instagram and Facebook, over the weekend I splurged the remainder of my birthday money by treating myself to the ghd Curve Classic Curl Tong. 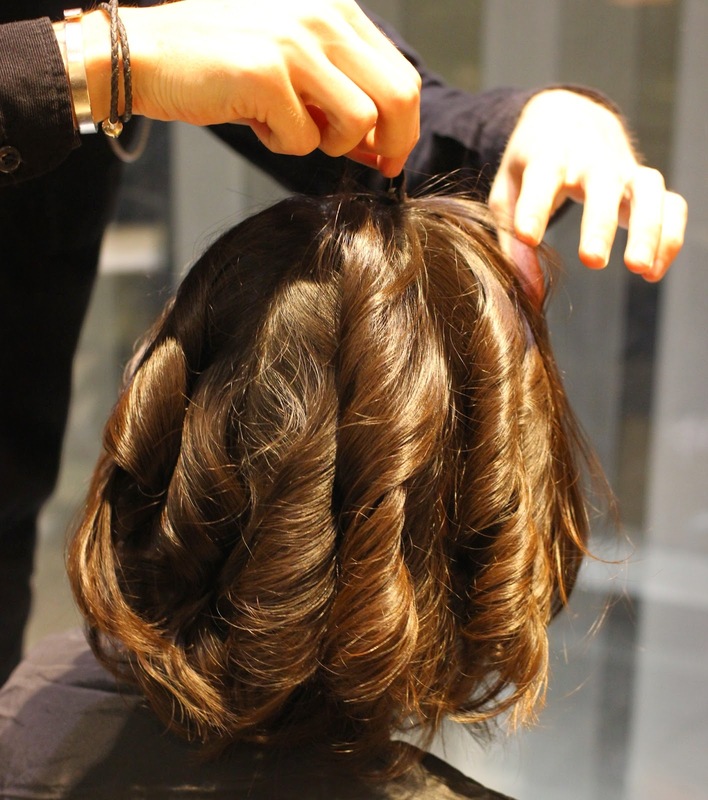 I have to admit I’ve very much had my eye on the ghd Curve Classic Curl Tong ever since my Rush hair makeover at the Vogue Fashion’s Night Out event where the hair stylist used it on my hair to give me the most amazingly long lasting curls. Over the years I have tried a lot of different hair tongs, some I’ve purchased and some I’ve tried in salons and in department store demos, but the problem I have always had is that the curls just don’t stay in my fine hair and always drop out really quickly. That’s why I was so impressed with my Rush hair makeover as not only did I love the overall style and look but the curls lasted all evening. Even though they had dropped slightly by the next day, I was left with a very glamorous wavy look which I got complimented on at work. The ghd Curve are a new range of tongs & wands from ghd. The range features the tri-zone technology introduced in the god Eclipse. The ceramic technology guarantees the right curling temperature of 185°C and the result is healthier-looking curls that stay locked-in all day and night. The ghd curve classic curl tong has a 26mm medium barrel with a spring activated lever which creates consistent curls for a classic look and volume, even on shorter hair so it’s great for bob hairstyles like mine. Each ghd curve tong & wand comes complete with a free limited edition rose gold heat mat and roll bag which is a great way to store the tongs or wand and will save you from burning a hole into anything with your tongs. I had a little play with the tongs on Saturday as I was trying to style my hair for a night out. The classic curl tong is really easy to use. I like having the clamp as it makes it easier to style my bob length hair and I didn’t burn my fingers at all and that wasn’t just because of the free heat proof glove a I got with it. I do think I need to spend a bit more time practicing how to curl my hair myself as unfortunately I only had 10 minutes to spend on my hair yesterday so I didn’t have a chance to take a picture of my hair but you can see more of the finished look I’m aspiring to achieve by myself, from the Vogue Fashion night. The ghd Curve classic curl tong costs £110 and is available from selected salons, Department stores and ghd online. I purchased mine from Headmasters. Have you tried the the new ghd Curve range? We have all 4 of these in our salon at the moment. Very versatile and amazing results. I have purchased and am using this very product and am finding the curls drop out within minutes leaving me with straight hair again before I've even finished my whole head. When using my old curlers I could get curls to last all day, my hair loves to curl. Any ideas why its not working at all for me? I should mention here I have tried using it with curling sprays, hairspray applied before, during and after, mousse… I'm experienced at curling my hair.